Over on Ukulelia's mother site, Boing Boing, our friend and Playa Plucker Rusty Blazenhoff posted a piece about Justin Lange's art installation from this year's Burning Man: a red emergency callbox containing "emergency" ukes. Maybe our neighborhood Little Library needs to start lending ukuleles, too. This is a new one on me. Never popped up in a search before, most likely due to the non-standard spelling. Lindsey Buckingham on ukulele. Hi, Lindsey! "I wanted to make a film about the impact of the internet upon music and movies. The web has caused some problems, but it has also brought gifts. We’ve all migrated online nowadays, art and entertainment have become increasingly unmoored and rudderless – it’s easier to distribute our work, yet harder to make a living out of it. This is a rather paradoxical, bittersweet era that we are living through together. So I wanted to really riff on that in a film – ask what it all means, not merely for artists but ultimately for children and young people." We'll post more when we've viewed the film. Here is an interview with Jones. But the ukulele follows The Woman Who. If you dream of shredding like Daniel Ho instead of Jake Shimabukuro, here's your ride. Pepe Romero and Daniel Ho have a new design for Romero Creations! The Uke Board is a 24" long, 17" wheelbase skateboard made in San Diego, USA at the Sector9 factory. This is a limited edition, has soft 59mm Sector 9 wheels, tail flip, deck concave and a little nose flip as well. This thing rides smooth and fast and is SO fun! 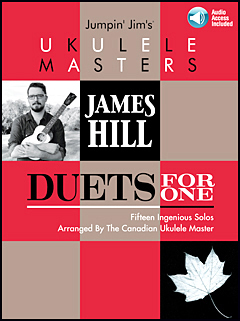 Ukulelia's resident Multi-Instrumental Genius and Master of Making Everything Look Effortless, Rob Bourassa, offers this original tune. 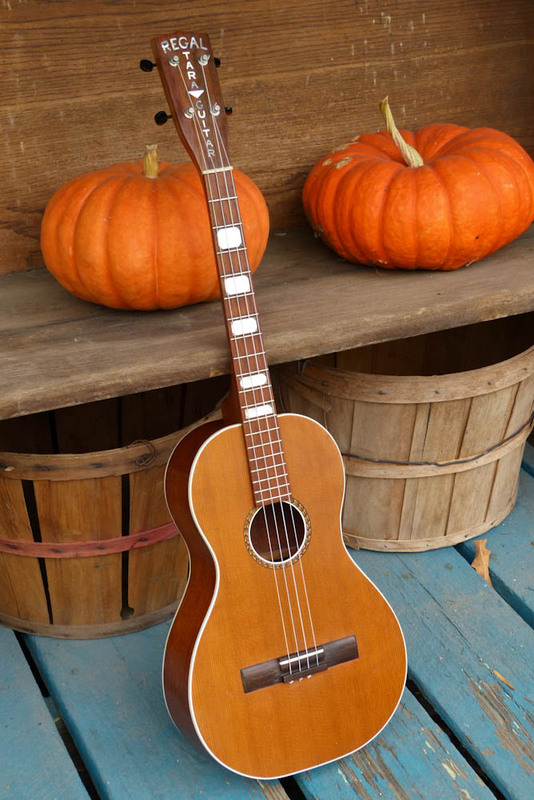 Check out Gary Zimnicki's sweet Maccaferri tenor at 2:25. We just saw Jordan Peele's Get Out. There's a little ukulele sequence. And it ain't pretty. 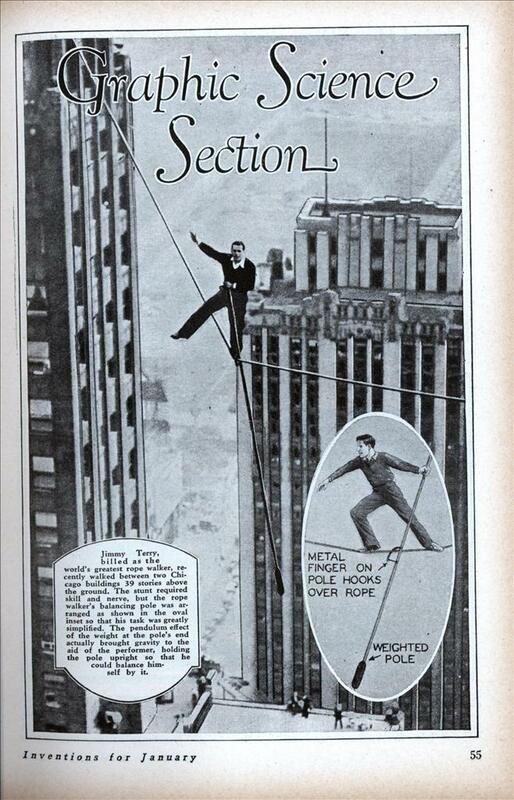 From the amazing Moving Image Research Collections at the University of South Carolina, here are outtakes from a 1929 Fox Movietone newsreel showing tightrope walker Jimmy Terry walking 39 (45?) stories up between two buildings in Chicago. Jimmy plays the ukulele and sings "I ain't gonna walk ropes anymore" to the tune of It Ain't Gonna Rain No' Mo' at around 7:30. Keep watching for the moment when he drops the uke. The full Movietone newsreel plays from 10:30 on. 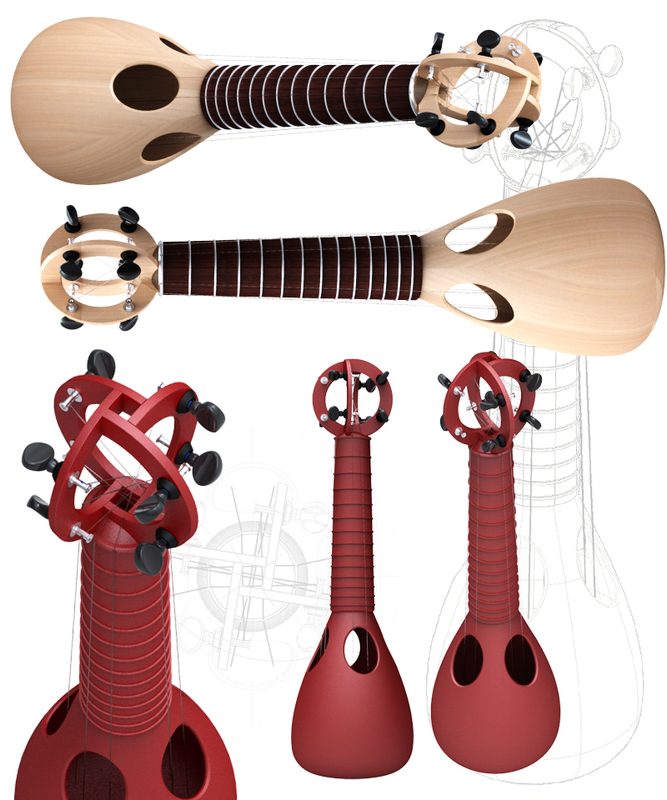 It will be interesting to see what kind of impact on the popularity of ukuleles this automated teaching instrument will have. As a teacher, I'm conflicted. Just so long as they don't promote bad habits that I have to un-teach. Or maybe I should look at that as job security! Check out this video tour of the scientific station at the South Pole. At 2:19 there is a tour of the music room, which features at least three ukuleles. We see a blue Dolphin Makala, a mystery tenor and a Vita-Uke model of unknown make. Maybe an Ohana? But it would be super cool if an original Vita-Uke was being strummed at the bottom of the world. Would you like the original sheet music? Ok. Here. How about It Ain't Gonna Rain No Mo'? Oh, alright. At an earlier time in his career, Jake Shimabukuro eschewed effects, going for a purer sound. He's now returned to the world of pedal effects, albeit with a more mature approach and considered curation. This interview is worthwhile watching if only because it's to hear Jake speak about something other than the old tropes that every interviewer drags out. Got a nice note from Marc Revenson, aka Lil Rev, who is launching a GoFundMe fundraiser for his next recording. Sing Song Daddy is a collection of 15-20 original tunes composed for ukulele and voice, with accompaniment. The songs speak of love, loss, redemption, renewal, blues, friendship, polarization, compromise, contemplation, labor history, ukulele madness, humor, miracles, the vaudeville era, civil war, and so much more. Some are songs i have danced around with out on the road and others are fresh from pen to paper. None of them have ever been recorded before. This record will pick up where Happiest Way To Be Sad left off but with a whole lot more true grit, back road, no holds barred, take no prisoners kind urgency that has been our life the last couple years. If you're a fan of Lil Rev, please consider supporting him. If you've never heard of Lil Rev, where have you been? Here's a YouTube video to whet your appetite. I don't believe I've ever seen this. Stunning. With great sadness, we note the death of legendary Hawaiian musician and ukulele great Eddie Kamae yesterday at age 89. Uncle Eddie was a co-founder of the Sons of Hawaii and an inductee of the Ukulele Hall of Fame. He inspired generations of ukulele players and Hawaiian musicians. You have probably played his lovely "E Ku'u Morning Dew". 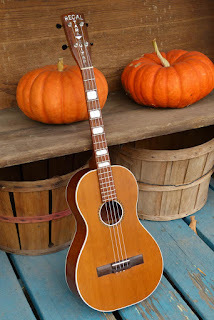 Here is a virtuoso ukulele version by Troy Fernandez. Here is a link to Uncle Eddie's album "Heart of the Ukulele", which showcases his amazing tremolo style of solo playing. 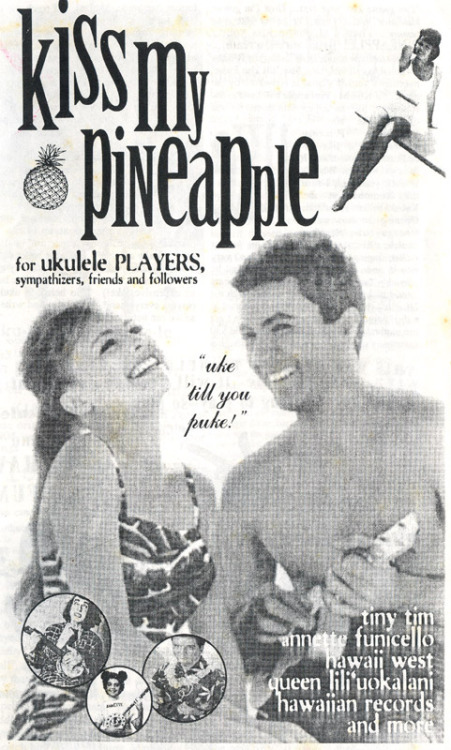 Al Wood found the covers of two 'zines from the dawn of the Third Wave of ukulele popularity. Way back in the late 20th Century! Kiss My Pineapple was published in the early 90's by the punk band Pineapple Princess from San Francisco--a duo comprised of Beth Allen and Pamela Schulting. Pineapple Princess is featured in the documentary Rock That Uke. Which Bill sez is still for sale and available in the equally arcane Dee-Vee-Dee format. Contact Bill via the RTU website.